While the majority are pleased about Mexico passing a medical cannabis bill, some fear the repercussions from dangerous cartels. A bill proposed by the President of Mexico that would allow for the production of medical cannabis has finally been approved by the country’s senate. While the overwhelming majority voted yes on the issue, there are still some who fear the repercussions this new bill will have when it comes to dangerous drug cartels and loosely-addressed concerns on personal cultivation. While the senate may have passed the bill, this does not mean medical cannabis will be available to citizens just yet, as the lower committees must still agree and finalize the process. 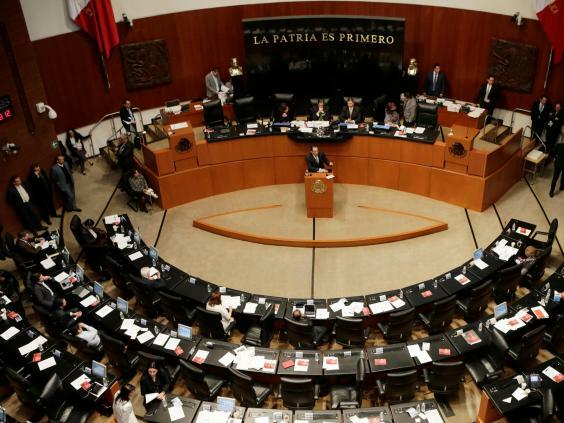 After a national drug debate took place within the senate, 98 of 105 senators voted to pass a medical cannabis bill proposed by President Enrique Pena-Nieto. For the past year, citizens have been permitted to import medical cannabis in the form of CBD oils, but only on a case-by-case basis, after undergoing a medical review and waiting out the lengthy process of approval. Under the new regulations, citizens suffering from certain medical conditions would be given access to cannabis that contains not just CBD, but also strains that contain less than 1% THC. These industrial products that contain less than 1% THC would be perfectly legal to purchase, sell, import and export, creating a new stream of revenue for the national as well. The cannabis would be strictly cultivated by the government, to ensure proper chemical levels and a secure supply. In addition to supplying the medical community with this plant, Mexico will also begin scientific research, meant to further the exploration of just how cannabis can help and which conditions it most effectively treats. In order to become law, the President submitted bill must also gain approval from the lower house. Lisa Sanchez, director of drug policy for Mexico Unido Contra la Delincuencia, knows this could be easier said than done. While there are still steps to go, Sanchez believes the senate’s approval is something to celebrate. It’s been years that we’ve been fighting for acknowledgment and approval and recognition of the medical and therapeutic uses of cannabis, and today we finally have something. Despite the excitement of many citizens, politicians and activists throughout Mexico, there are those who say these news laws are naive and don’t do enough to address the issues surrounding dangerous cartels and regulations regarding cultivation. Senator Armando Rios Piter was one of the just seven senators who voted against the bill. While he understands the importance of medical cannabis, he believes this particular bill does not do enough to address concerns about the ever-expanding drug cartels or restrictions on cultivating personal use cannabis. To celebrate that we are making a material change on marijuana would be fooling ourselves at this stage of the game. It is presumed drug cartels will see these new legalization bills as a direct attack on their streams of revenue. Since Former-President Felipe Calderon began military tactics meant to eradicate the cartels nearly ten years ago, more than 100,000 people have been killed with more than 30,000 still missing. The cartels will fight back against the legalization and many who opposed the bill worry exactly what destruction will be caused then.